long anticipated film about faith and religion, tells the story of two 17th century Portuguese missionaries who undertake a perilous journey to Japan to search for their mentor, Father Christavo Ferreira, and to spread the gospel of Christianity. 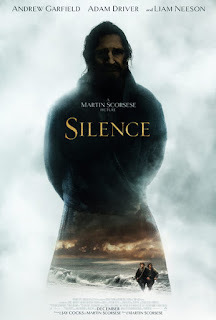 The film is based on Shusaku Endo’s 1966 novel Silence which examines the spiritual and religious question of God’s silence in the face of human suffering. The story is set in the era when Japanese feudal lords persecuted and tortured Christians, forcing them to apostatize, renounce their faith, or face a prolonged and agonizing death.